It’s freezing all of a sudden, right? I don’t have the right coat.. 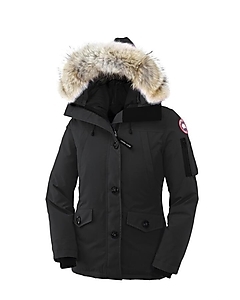 I think I need to get a Canada Goose parka.. I don’t care if they are ‘last year’, they look so warm.. Thoughts? Obviously I spent a fair amount of time looking online at other options, this is what I have come up with..
Haider Ackermann. I love this man. I love this colour. 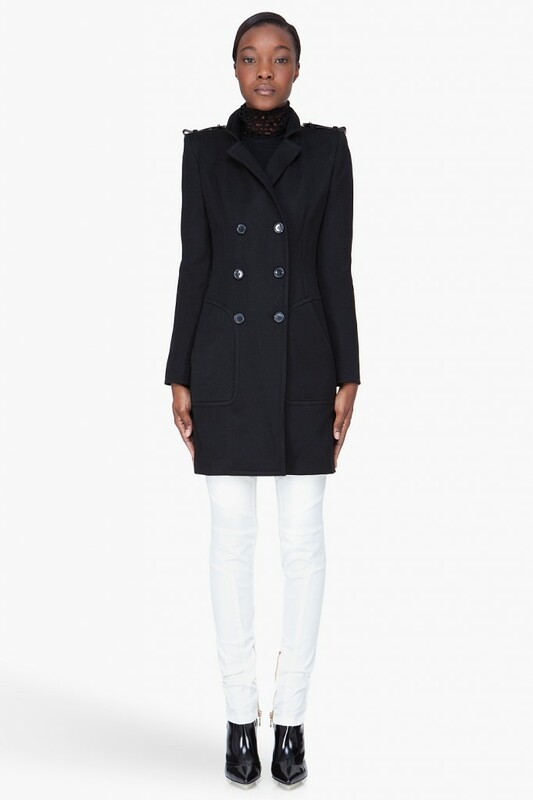 She was buying this AHmazing Proenza Schouler neoprene coat. See below, but long. This picture is the jacket. She bought the coat. It looks incredible. I love this coat, and I just might buy it, inspired by her. I said, I don’t like to stand out.. And she said, listen to this.. She said, you already do, don’t be an idiot. Wear the coat. I just love people who call it as they see it. 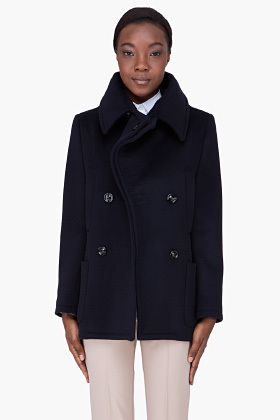 I did buy this Maison Martin Margiella coat. It’s NAVY, in case you were about to get smart..
And look at it open! Now… If I DID want another black coat, there wouldn’t be anything wrong with that.. Not one thing. 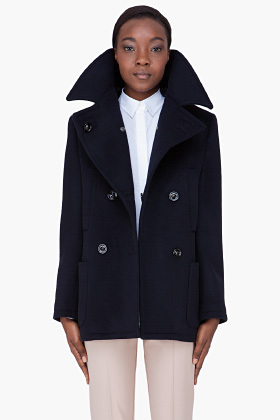 It would be this Barbara Bui military coat. This one is still available too.. Look at it open.. 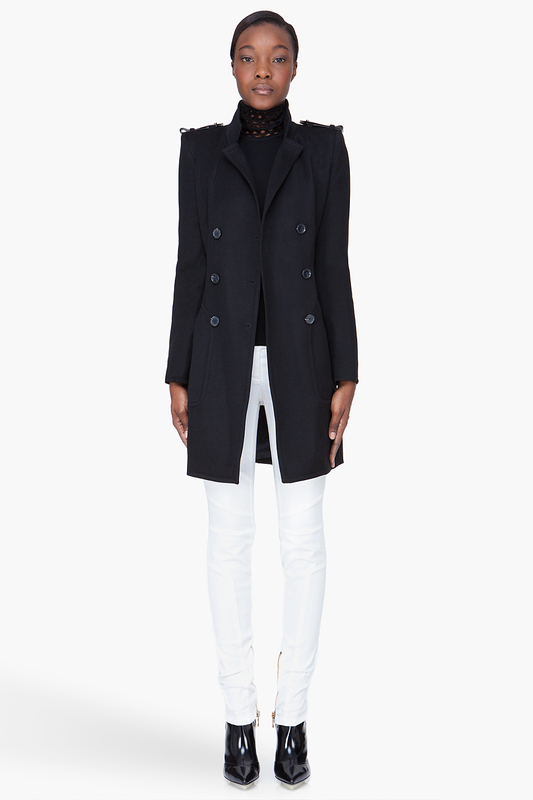 There are another two coats at Zara right now, that I would also buy. Just in the interest of staying warm. Or this one, Leather Biker coat. 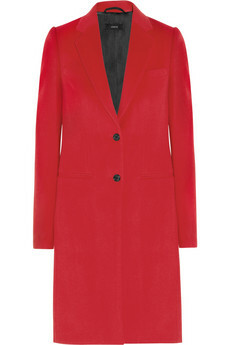 I could also holiday-it-up with this red Joseph coat, also still available.. But I probably wont.. I would prefer Proenza Schouler. If you want to wear, or talk about, any of these coats, please don’t hesitate to call.